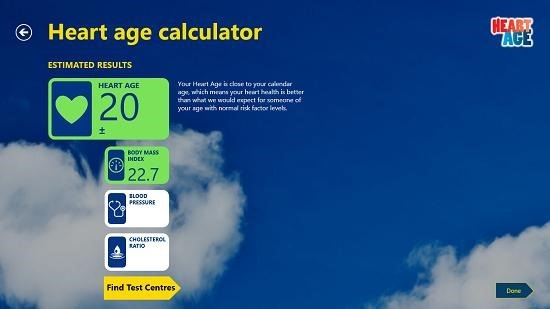 Heart Age is a free app for Windows 8 and 8.1 which allows you to check your heart health on your Windows 8 and 8.1 devices. 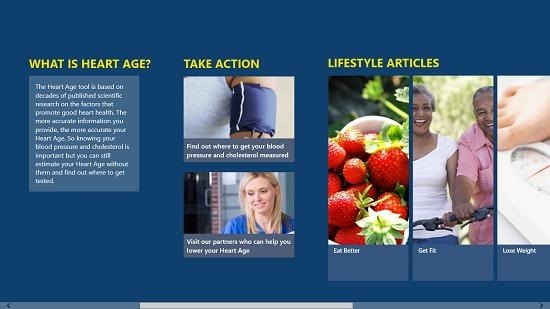 When you run the app on your device, you will be presented with the main screen of the app which allows you to check your heart age, read lifestyle articles, etc. 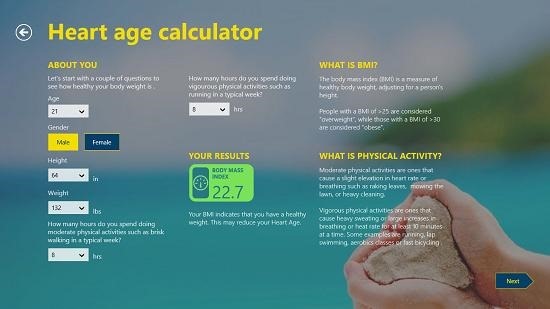 When you click on the find heart age button, you will be taken to a series of questions which you will have to answer to calculate your heart’s health. The app has a lot of features that help you stay healthy like articles etc. which allow you to stay fit. Heart Age can be downloaded for free off the Windows App Store. The app when launched will show you the below shown screen. If you scroll to the right, you will be able to read about what the app actually does. 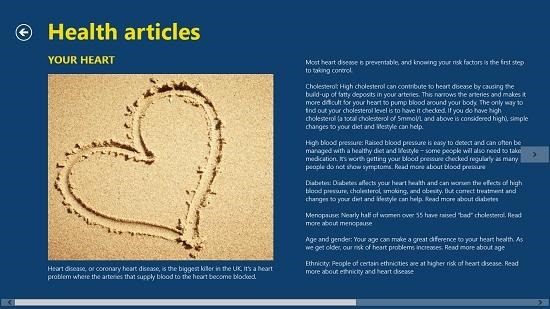 You will also see tiles which lead you to various articles that you can read to improve your health. When you click on an article, the article will open up in the reader interface. You can click on the back button at the top left corner to go back to the main screen. 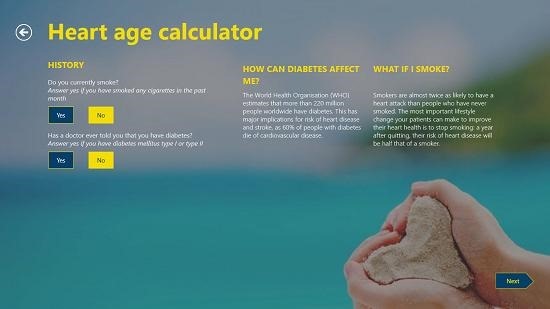 Talking about the heart age calculator, you will see the below screen on your device when you choose to access the calculator. Simply enter your details and your BMI will appear automatically. Click Next, and you will be prompted to answer more questions as below. Click Next, and you will be taken to the next screen where you will be asked to answer more questions. Finally, your results will appear on your screen as below. You can then click on the Done button, or click on the Find Test Centres button which allows you to open up location markers of nearby test centers on map. Clicking on Done will take you back to main screen of the app. 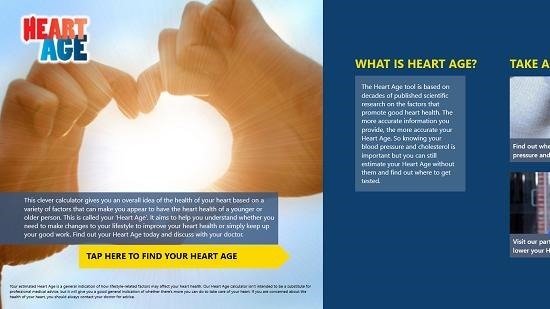 Heart Age makes for a great app to keep a check on your heart’s health. The app is extremely well designed and has smooth animations all throughout.